Mr. Howe has been a member of the Company's Board of Directors since November 2008, and currently serves as the Companies Chairman and CEO. Prior to joining Inuvo, Mr. Howe served as Chief Marketing and M&A Officer at the Axciom Corporation ( NASDAQ : ACXM ), one of the largest Marketing Services companies in the world, which he joined in 2004. From 2001 to 2004, he was the general manager of Global Marketing Services at Fair Isaac & Company ( NYSE : FICO ), a leading provider of risk management software and analytics products and services. Between 1999 and 2001, Mr. Howe started, grew and sold private Internet search innovator, ieWild. Mr. Howe has over his career led the acquisition, merger or divestiture of numerous companies on three continents. Mr. Howe has both undergraduate and graduate degrees in engineering having studied at Concordia and McGill University, Canada. Wally serves as Inuvo's Chief Financial Officer and is responsible for the company's financial functions, budgeting, human resources, legal affairs and investor relations. Wally has been the chief financial officer of both public and privately-owned companies in several industries. Prior to joining Inuvo in June 2010, he was the CFO of SRI Surgical Express, a nationwide provider of healthcare services where he was a key member of the team driving its turnaround. Wally started his career in the New York offices of Ernst & Young and has led the finance function of companies in the consumer products, oil and gas, retail, fashion and high tech industries. Wally has helped start ups through successful IPOs and growing enterprises with bank and private placement financings. Outside the office, Wally has been an adjunct professor of International Finance at the University of Miami and a volunteer with Habitat for Humanity. 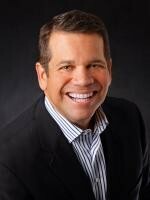 He currently serves as a director on the board of the Florida Institute of CFOs. Wally earned his MBA degree in Accounting and Finance from Columbia University and a BS degree in Computer Science from St. John's University. He is a Certified Public Accountant and a Certified Information Technology Professional. Trey joined Inuvo in February 2010. As COO of Inuvo he leads the execution of Inuvo's strategic vision and product strategies. Prior to joining Inuvo, Trey served as Acxiom Corporation's Director of Interactive Media Products overseeing the innovation and development of Acxiom's interactive consumer targeting product line. With over 25 years of data-driven direct marketing experience, he has been involved in several successful business start-ups in the direct and interactive marketing industries. Trey earned his Bachelor's degree in Marketing from the University of Arkansas at Fayetteville. Trey thrives on developing new and innovative marketing solutions leveraging consumer data. When off the grid Trey enjoys fishing, gardening and spending time with his wife, Shana, and two children, Olivia and Will. Mr. Anderson has been working with computers, networks and software development for over 30 years. As co-owner of AIS he was instrumental in development of hi-speed hi-volume computers and software systems for industrial automation used to manufacture products like Advil® Liqui-Gels® and RP Scherer MARBALLIZER® Paint Balls. Mr. Anderson was involved in all aspects of systems integration encompassing batch process, inventory, and accounting control methodologies. After successfully selling AIS to MSC Industrial Supply (MSM) in Jan 1997 he started Ozona Online Network an ISP/ASP. Bringing years of experience in streamlining processes he developed internet based software for the Promotional products distribution industry as well as Software As a Service (SAS) platforms for the Real Estate market. Mr. Anderson's company was purchased by Inuvo (Kowabunga) in February of 2005. Since then he has been working to consolidate and streamline network and datacenter operations, revamp existing software products and collaboratively designed and directed the development of many of the current Inuvo software Platforms and products. John Pisaris has served as the General Counsel and Secretary of Inuvo since our acquisition of Vertro in March 2012. 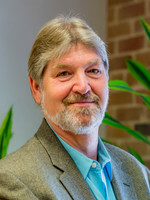 John joined Vertro in 2004 and served as Vertro's General Counsel and Secretary. Prior to joining Vertro, John was a partner in the law firm of Porter, Wright, Morris & Arthur LLP, a firm which he joined as an associate. At Porter Wright, John practiced in the corporate and securities group and advised clients on business transactions, mergers and acquisitions, financings, securities offerings and securities compliance. John is a graduate of Case Western Reserve University School of Law and Hillsdale College.